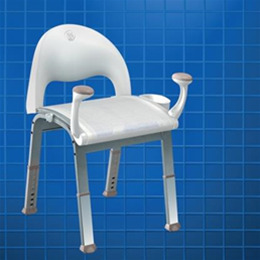 Reinforced mesh seat is comfortable and easy to clean. Easy grip handles, shower holder, and basket organizer included. Fits most tubs and showers - 18" leg width.